Loon Mountain ski resort is located in Lincoln, New Hampshire, within the scenic White Mountain National Forest. The ski area is within a two-hour drive of Boston and Manchester and a four-hour drive from Providence. Each of these cities provides an airport and rental car services. 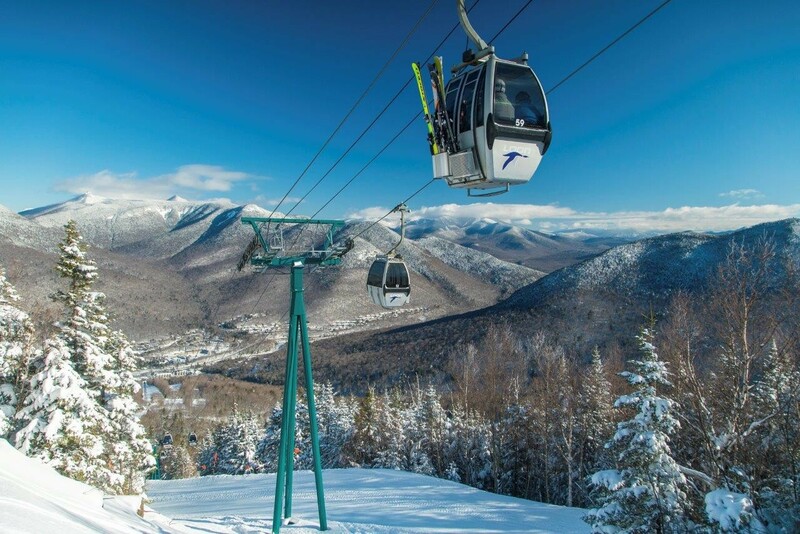 Loon Mountain offers skiers and riders access to 2,100 feet of vertical, 61 trails serviced by 11 lifts (including a gondola) and 370 skiable acres. Loon’s summit elevation tops out at 3,050 feet and sees an average annual snowfall of 160 inches. The ski area is known for being an excellent family destination and provides visitors with an easily accessible mountain that contains spectacular scenery and year round activities. Popular on-mountain summer activities and events include the Aerial Forest Adventure Park, gondola rides, bike rentals, zipline adventures and the NH Highland Games. Loon Mountain offers a rare combination of convenience, spectacular beauty, and adventure. Loon Mountain contains 61 trails that wind down 2,100 vertical feet spread across 370 exhilarating acres of skiable terrain. Loon is home to 7 award-winning terrain parks that benefit from constant upkeep from the park crew. Loon's super-pipe is 425 feet long with 18-foot walls and is home to a top-notch ski and snowboard school. The resort was envisioned in 1960 during construction of the Kancamagus Highway when Sherman Adams, former New Hampshire governor, saw more than just a road but the opportunity to build a great ski resort and mountain destination. Get Snow Reports, Powder Alerts & Powder Forecasts from Loon Mountain straight to your inbox!